The Tesla Model 3 is sure to scare the headlights out of many a premium-class contender. I’ve already rolled through the knee shaking that certain BMW, Audi, and Lexus models must be feeling, but looming in the background all this time is the granddaddy of premium-class sedans — Mercedes-Benz. For Mercedes, the models I figured would make the most sense to compare the Tesla Model 3 to were the Mercedes 300, Mercedes 350e, and Mercedes AMG C43. As before, it’s worth highlighting at the start that different humans prioritize different things. Some will prioritize the Model 3’s zero emissions while others will prioritize certain elements of a Mercedes sedan’s interior elements. 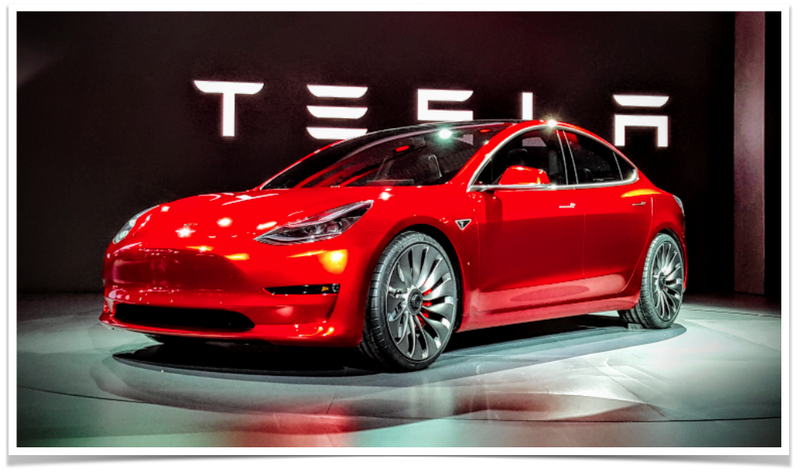 Some will prioritize Tesla’s Autopilot while others will prefer having a brand name that is one of the most iconic status symbols of the past 100 years. For this article, though, I’m exploring a handful of practical matters/specs and how they compare across these various cars … even though I personally have a couple of reservations in for a Model 3 due to the zero emissions, instant torque, Autopilot, Supercharging, and our need to not turn this special blue marble into an elf-frying ball of cotton candy that caught fire in the midst of Armageddon. Moola: So, yeah, in terms of cash money, the Model 3 heftily outcompetes these Mercedes models (unless your goal is to spend as much money as possible). In fact, with the US federal tax credit, the base Model 3 is practically half the price of the Mercedes AMG C43. If this doesn’t tell you where we’re headed, well, stay tuned for a wild ride over the next few years. How many necks can you snap? That $52,000 AMG C43 does beat the base Model 3 to 60 mph. We’ll have to see how quick a more spinach-packed Model 3 ends up being, and if that extra power puts the car in the $52,000 territory. Due to Tesla’s sensible “start with the basic options first” manufacturing strategy, it seems we still have a bit to wait for that (insane? ludicrous? demented? batshit crazified?) Model 3 to hit the streets. In any case, though, it appears that the base Model 3 narrowly beats the Mercedes 350e and Mercedes 300 in a race to 60 mph. All of that said, due to the instant torque of a fully electric car and the fact that Tesla knows how to maximize the endorphin rush that comes from that unique feature of EVs, my guess is that a Model 3 will still be much more fun to drive than a Mercedes 300, 350e, or even AMG C43. Though, I’m definitely curious to test them all out with an appropriately objective and open mind. Strollers & stuff: In terms of space, I’m happy to see that the Model 3 beats these three Mercedes competitors, but we still need to test out the actual practicality of the provided space. The 14 cu. ft. in the Model 3 is the trunk and frunk space combined, which I assume I’ll like in certain situations but may also make trying to get a stroller into the trunk harder than with a Mercedes 300, which is tight enough as it is. We’ll see, and I’ll be sure to test out the competitors for you. ◊ Zero emissions: The value of a zero-emissions vehicle is priceless for many people. The existential threat global heating poses for humanity isn’t worth gambling on. The trillions of dollars in health costs and hundreds of thousands of premature deaths from air pollution are not moral or sensible options when we have alternatives like electric cars and solar power. I am leaving the climate and health benefits of the Model 3 out of the equation in the comparisons above, but I could never leave them out in my own personal purchasing decisions. ◊ National security: The societal benefit of buying a national security bulldog is priceless as well. There’s again no point in fueling oil wars and funding dictatorships when we can avoid doing so. ◊ Self-driving tech & perhaps my own robotaxi: The Tesla Model 3 will come with hardware that could one day allow for fully autonomous transport. It’s unclear when the software will arrive, what it will cost, or what the default semi-autonomous features will do, but the self-driving tech is still a highly compelling attraction for me. I assume the Tesla Autopilot features will outperform what any competitors offer for a long time to come, and Tesla CEO Elon Musk has clearly indicated that we should expect our Model 3s will get invites into a Tesla robotaxi service down the road, allowing us to easily make money on our cars if we choose to go that route.